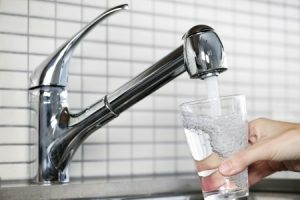 In order to keep your water as clean as possible, it is important to have your water filtration system maintained so it runs efficiently at all times. We provide preventative maintenance so you can rest assured that your water is always clean and safe. Water softener systems have certain aspects of maintenance required to keep it running smoothly. One of those requirements is checking the salt level in the tank to make sure it is at a stable level and not affecting water flow. Humidity or a high salt content in the tank can lead to salt bridging, which is a crust that forms a barrier that can lessen the effectiveness of the water softener. It is important to check the levels of hard water in your system because any significant changes are a sign of problems in the filtration system that need to be dealt with. There are a multitude of benefits from using a water purification system. It allows you to remove pollutants from your water and prevent mineral build up, filters out impurities that can cause bad odors, and improves the flavor of the water. We recommend water filtration systems to improve the overall quality of the water in your home. For installation, repair, or maintenance of these systems in West Los Angeles or Bel Air, contact us now at (310) 454-2010. Updated on June 15, 2016 at 3:01 pm by Sunset West Plumbing & Rooter.